3) Option Z: adds a two-way bikeway. 3) new sidewalk from Anderson to Foster. 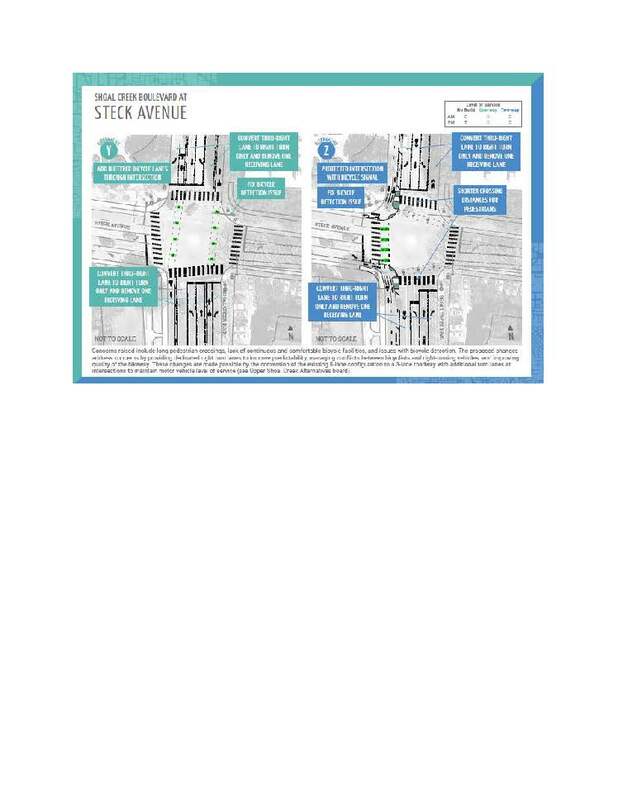 ATD staff say these options will “result in comparable motor vehicle levels of service and provide space for an additional protected bikeway.” Studies show protected bikeways increase safety for bicyclists more than do painted line bikeways. Diagrams of the proposed changes are posted below. 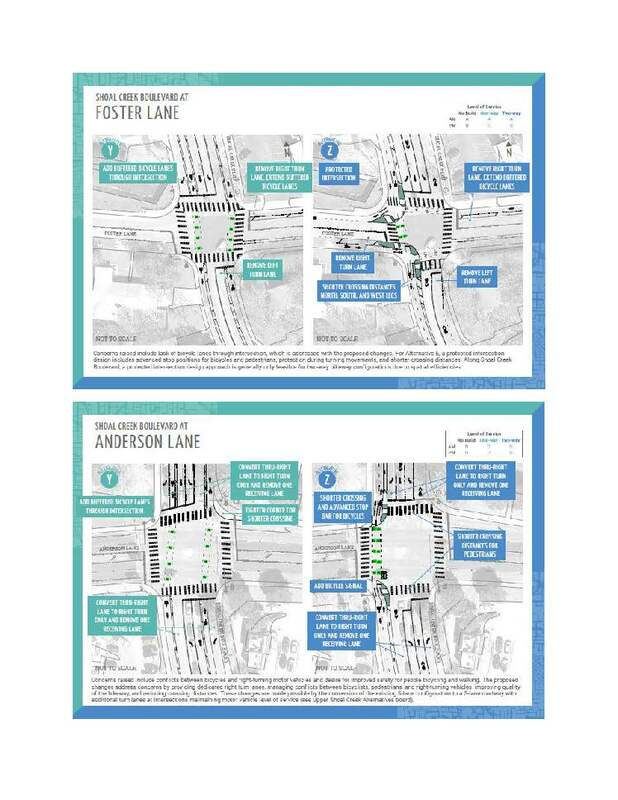 You can view slides showing all the proposed changes from 38th to 183 at www.AustinTexas.gov/ShoalCreekBlvd. 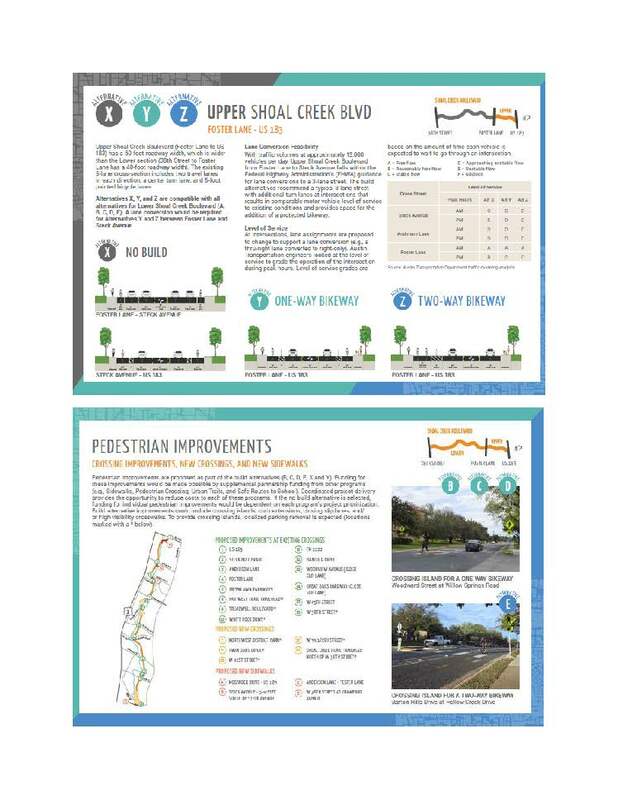 You can give ATD your input about the proposed changes using the survey available at http://www.surveymonkey.com/r/ShoalCreekBlvd.